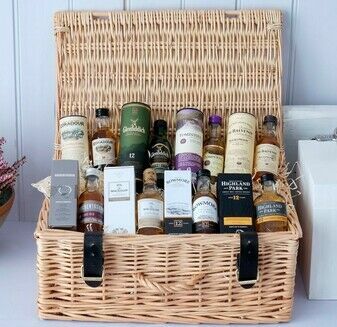 There’s a very good reason Scottish whisky has its own name. 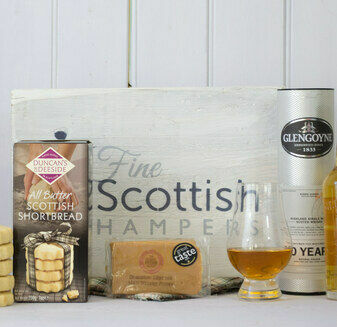 World renowned and enjoyed in endless varieties, these graciously sized and filled Scottish Whisky Hampers not only provide the wondrous taste and aroma of masterfully made Scotch, but accompany it with locally made Scottish food and drink. 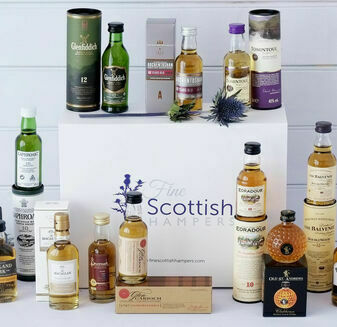 With the earliest known record of distilling in Scotland being traced back to the 1400’s, each Scottish Whisky Hamper offers a bottle specially crafted from some of the best distillers in the country. 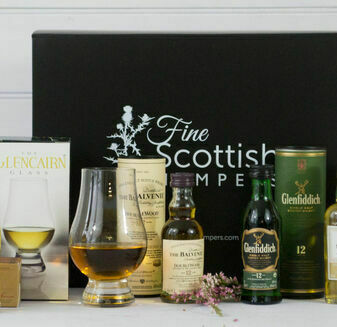 From Dalmore’s 12 year masterpiece to the Johnny Walker’s highly recommended black label, it is clear to see from our collection why Scotland is king of this drink. 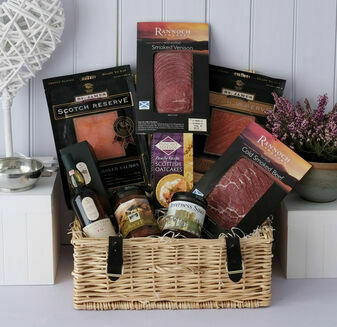 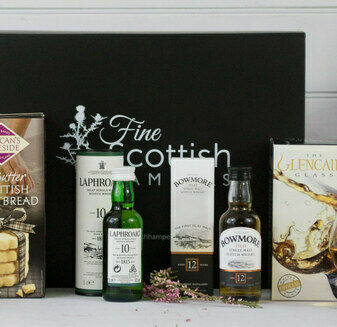 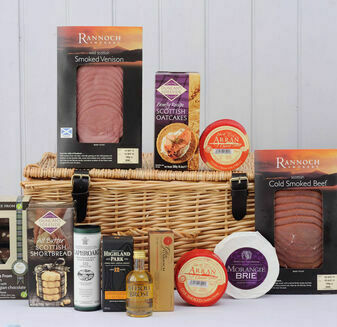 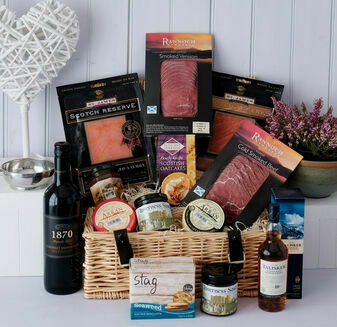 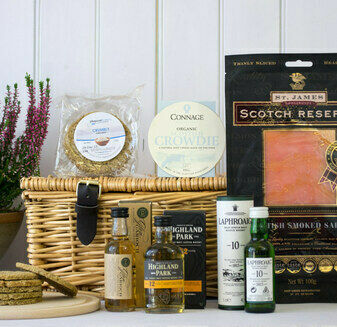 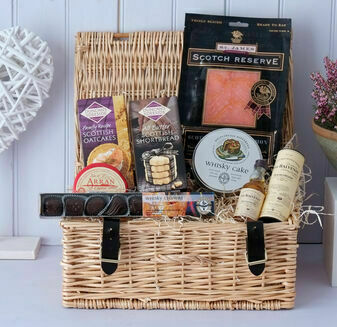 Joined by a variety of Scottish Whisky chocolates, cider, marmalade, cakes and even cooking sauce, our hampers make the perfect whisky gift for anyone who likes a tipple.